Concert at 9:00 pm at the Chiesa di San Rocco. The celebration of the English scholar John Ruskin, on the occasion of the bicentenary of his birth (1819), will continue at the Correr Museum in Venice. 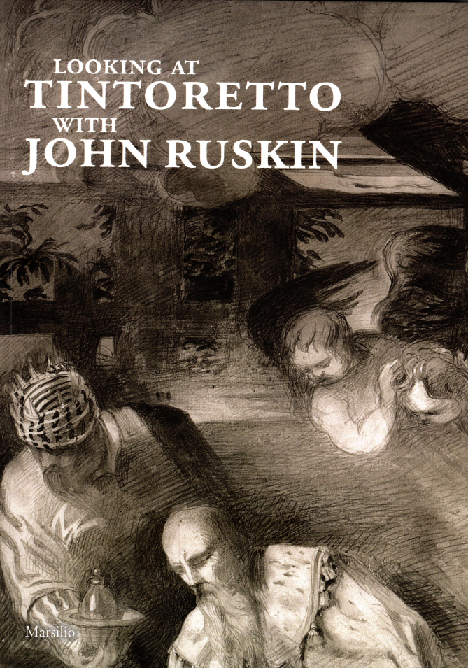 The Scuola Grande di San Rocco has published a book entitled “Looking at Tintoretto with John Ruskin” written by Emma Sdegno, professor of English at the Ca’ Foscari University in Venice. The volume (presented in the English edition) is the first of a new series entitled “Studies and Researches” published by the Scuola Grande di San Rocco. The book will be presented in the Ballroom of the Correr Museum – (Piazza San Marco). From March 10th to June 10th 2018 at the Palazzo Ducale in Venice– Appartamento del Doge – an exhibition dedicated to the famous English thinker John Ruskin will be opened to the public. Curated by the Fondazione Musei Civici di Venezia, it has the support of the Scuola Grande di San Rocco and the Guild of St George in the UK. Four meetings at the Scuola Grande, in the Sala dell’Albergo. At 17.30 in the Sala dell’Albergo the official launch will take place of the Memoirs of Don Sante Della Valentina, based on a manuscript by the courageous Chaplain of San Rocco, who succeeded, during the dark days of Venice’s occupation by French troops, in defending the Scuola di San Rocco against the enforced closure to which, along with all the other Scuole, it had been condemned. If the Scuola Grande is still alive and functioning today, it is in large part thanks to him!